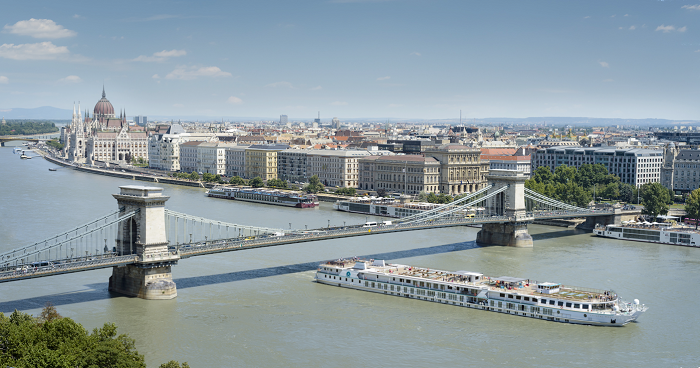 Following the successful launch of its first luxury river yacht, Crystal Mozart, Crystal River Cruises, “The World’s Only Luxury River Cruise Line™”, announced today that it will increase its presence on the Danube, Main and Rhine, deploying four of its planned new build river yachts in the region over the next two years (2017 & 2018). Based on guest feedback lauding the itineraries planned in Germany, Austria, Belgium, Amsterdam and Holland, the company has elected to delay its entrance into the French river cruise market, choosing instead to prioritise its offerings in the German/Austrian region in order to meet travellers’ demand for those experiences. The shift in focus means redesigning and enlarging the two Paris-Class river yachts, Crystal Debussy and Crystal Ravel, as Rhine-Class river yachts, and redeploying them east in 2018. Previously, Crystal Debussy and Crystal Ravel were to travel along the Seine, Rhone and Dordogne Rivers in France beginning in June and August 2017 respectively. *Valid for 18 months and can only be used towards a second Crystal experience beyond the one chosen as an alternative to the Crystal Debussy or Crystal Ravel booking. The redesign and subsequent redeployment of Crystal Debussy and Crystal Ravel translates to more options, space and onboard amenities for travellers, as the river yachts will be increased in size from 110 metres to 135 metres, the maximum size permissible on the Rhine, Main and Danube. The increased length allows for the addition of a swimming pool with a sliding glass roof and more of the ship’s larger suites, which range in size up to 759 square feet. The new design places the ships as part of the line’s 106-guest Rhine-class series currently comprising Crystal Bach and Crystal Mahler, which are due to enter service June 18 and August 29, 2017 respectively. Crystal Debussy and Crystal Ravel will be set for maiden voyages in April 2018 and May 2018 respectively with detailed itineraries to be announced shortly. All four luxury river yachts will offer Crystal guests luxurious amenities that surpass the comforts of home, including Crystal’s acclaimed butler service for every suite, plush king-sized beds that face toward the panoramic balcony windows, walk-in closets, dual vanity in the bathrooms, ETRO robes and slippers, wall-mounted flat-screen HD TVs and Nespresso machines. Additional enticing features include Crystal’s highly-acclaimed cuisine in multiple eateries: the elegant Waterside Restaurant, namesake Bistro cafés and the exclusive Vintage Room; Cove Bar and Palm Court.